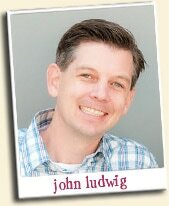 John Ludwig is a business executive who lives in the South Bay with his wife, Jen, and his two school-age children Lane and Ryan. John came to know Haven Academy through the enthusiastic involvement of his children in productions over the last decade. A Southern California native, John received his B.A. from Cal Poly San Luis Obispo and his M.B.A. from Pepperdine University. John currently works as VP e-Commerce for Teleflora. Prior to joining Teleflora, John worked at Bullpen Integrated Marketing in Encino, and Mattel, Inc where he held a variety of senior Marketing positions both at their headquarters in El Segundo and, for several years, in Europe. John is an active member of Oceanside Christian Fellowship, where he has served in the areas of stewardship, worship, and small groups. John has a passion for seeing kids flourish to their full potential, which is why he is honored to serve as a member of the Haven Academy for the Arts board. Marie Madera Gleerup began her passion for theatre in a church version of Godspell long ago. The creativity and support offered by that first musical cast was a refreshing change from anything she'd experienced before, and she was hooked! Dance classes followed, along with an introduction to the audition process in the Southland's musical theatre circuit. After trying a number of times, Marie was cast as a chorus dancer by the Downey Civic Light Opera, and was a member of the cast in 17 of their musicals in a row! Her love of dance and teaching led her down the path of choreography. She has choreographed numerous community theatre productions for both South Bay and Orange County theatres. Marie has also choreographed a variety of youth and children's productions, and enjoys working with with Haven Academy. She appreciates the faith and support managing director, Rebekah Kellaway, has given her. Jon Kubler - As the founder of Kubler Financial (Los Angeles, California), Jon Kubler has devoted a twenty-year plus career to identifying problem areas and repairing broken estate plans. He has significantly protected the bottom lines for many clients with all kinds of high income generation sources. Jon has resolved challenges associated with protecting and preserving asset holdings for their short and long-term wealth. The company’s approach and skill set have delivered results to, and captured, the respect of CEO’s, professional athletes, farm and ranch owners, authors, entrepreneurs, entertainers, and other public figures including high income professionals. In 2005 Jon was a contributing author for the book "Living and Learning" where he collaborated with Estate Attorneys, Accountants, and other Insurance and Financial Professionals from around the United States. Jon has served as treasurer for the Behailu Academy, NFP, based in Charlotte, North Carolina. He also enjoys playing and coaching basketball, among other various activities with his two children Cayden and Carley. Brett Fletcher is a father of two Haven actors. Both of his children have participated in Haven Academy since it’s inception and he believes it has had a huge positive impact on their lives. Brett is currently a police officer with the city of Torrance and he and his wife are also owners of Injectability Clinic, located in Torrance. Brett understands the importance that Haven Academy has been within the community and serving children in the South bay. Brett wants to continue this partnership that we have with the community. Dr. Tom Johnstone - Dr. Johnstone earned his Bachelor’s Degree in history at the University of Santa Clara, a Masters Degree in Latin American History from UCLA and a Masters Degree in Counseling from Loyola Marymount University. He received his doctorate in Institutional Management in 1997 from Pepperdine University. He launched his education career as a middle school social studies teacher in 1980, in Lennox. During the course of his career he has served as a middle school counselor, an elementary assistant principal and principal, a Director of Curriculum, Instruction and Assessment, and ten years as the Assistant Superintendent of Human Resources. After serving the Lennox School District community for over 28 years, Dr. Johnstone assumed the helm of the Wiseburn Unified School District in 2008. He retired as Superintendent of Wiseburn Unified School District on June 30, 2018. After 38+ years in education, Dr. Johnstone feels that first and foremost, he is still a teacher. 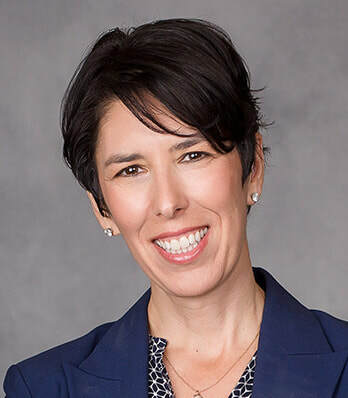 Professionally, Dr. Johnstone was an active member of the Association of California School Administrators (ACSA) for 34 years, including serving as State Chair or the ACSA-CAPEA Committee for three years. Dr. Johnstone also served as a Board Member for the School Employers Association of California (SEAC) for 9 years including 3 years as the Chair of the Board. Dr. Johnstone believes strongly in giving back to his community, and most specifically, activities that support children. He coached Little League girls softball for ten years and served as the Vice President of Westchester Del Rey Girls Softball League. He also coached AYSO soccer. He serves on the Board for St. Margaret’s Center in Lennox and served for 10 years as Chairman of the Board for Diabetic Camping and Education Services, which supports outdoor science programs for children with diabetes. Dr. Johnstone has been an active member of the Hawthorne/Los Angeles International Airport/Lennox Rotary Club and Rotary Club of Westchester for the past eighteen years including two terms as the President of the HLL Rotary Club. Rebekah Kellaway has been directing youth theatre productions for fifteen years and has directed over twenty musicals. She received a B.A. in Elementary Education and a teaching credential from Biola University. In 2008, Rebekah combined her love for education and the performing arts and established Haven Academy of the Arts. She believes strongly in applying educational theory and child development to the directing process. Favorite directing projects include Beauty and the Beast, South Pacific and The Sound of Music. Her work as co-director for Sustaining Sound's Little Women received a five star review in Broadway World and earned an Eddon Award for Best Production. She is consistently blessed by the amazing opportunities God has given her to work with these talented young people. When she's not wrangling young performers, Rebekah enjoys singing on her church's worship team and trying out new Paleo recipes in her attempt to make gluten-free delicious.